We’re running another workshop! 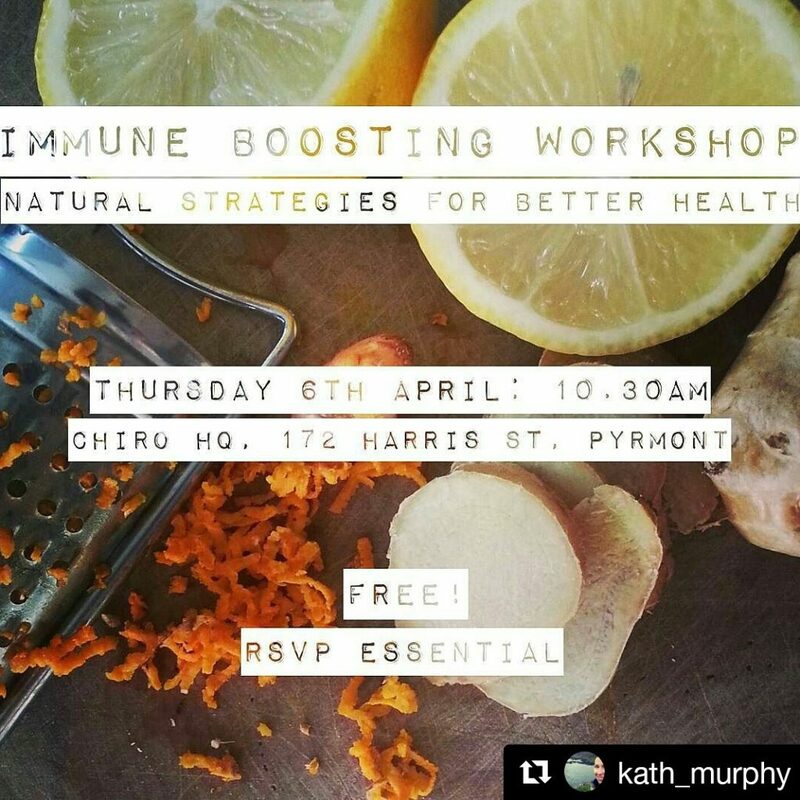 This time, I’ll take you through my top immune boosting health tips. From warding off sore throats to managing chesty coughs, preventing recurrent infections and avoiding the latest bug doing the rounds at work or daycare; I’ll share with you how best to boost your health. As we move into the cooler months, it’s quite common to experience coughs, colds and seasonal lurgies. However, you can guard against the worst of these infections, and improve symptoms significantly, with home remedies – many of which are simple and highly effective. Cost: FREE. This is a community event that is no cost to you, apart from your time. Infants and children are of course welcome to attend. Plenty of rooms for prams and comfy spots for breastfeeding mamas to sit. All up, a very relaxed space! Please RSVP by Monday 3rd April, so that we have enough space and (importantly) food!